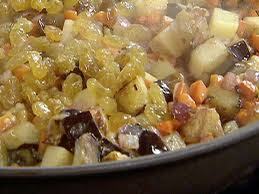 Want to know about Northern Italian cuisine? Find out about the rich and tasty types of foods that are trademark items of the people of the North of Italy. The cuisine of Italy is as diverse as the different dialects of the national language that are spoken in the country. The factors that influence the cuisine of a particular region are many and almost all the factors that you can imagine have played a part in the formation of the wonderful cuisine of Italy. From the different races that have come in contact with the Italians to the typography of the land and the availability of ingredients have all played a great role in developing the regional cuisines of the country. When analyzed individually it seems as each region has its own unique cuisine but on the whole the Italian cuisine stands unified with a lot of depth and variance in it. The Northern areas of Italy are credited with producing a lot of the amazing dishes that we love today. There is a great difference between the North and the rest of the Peninsula. One of the most striking differences is in the fact that whereas the rest of Italy is fond of using olive oil for its cooking the Northern regions are fonder of using unsalted butter. When it comes to pasta you will be able to find a wide variety of different dishes in the North. Stuffed pasta is very popular in the North but there are some areas like Liguria and Emilia Romagna that are not into it. Further more the extruded form of pasta that is the most important pasta in the south is not given that much importance in the North. Amongst the most popular food items in the North is polenta which is their substitute for pasta. The most famous rice dish of Italy known as Risotto also takes its origins from the west. Whereas pasta is considered to be the most commonly consumed food item in the rest of Italy, rice takes its place in the North. Come winter season and the people of the North mould their cuisine to the chilly weather as they indulge in rich and hearty soups. The northern areas of Emilia Romagna and Piemonte have excellent cattle breeds. This makes them rich in the production of meat and milk. Beef, veal and pork are amongst the most popular meats of the region whereas lamb which is otherwise very popular in Italy is not given due importance. The Northern people use a much lesser amount of tomatoes in their cooking rather they make use of broth as the liquid and a variety of chopped herbs to give their food flavor. They like to boil, fry, braise and stew the meat to make all sorts of interesting dishes. They are also fond of stuffing their roasts especially during the winters. Fish is also an important part of the cuisine of the Northern areas. The region of Comachhio that falls south of the Po Delta is famous for its eels and Veneto’s coastal lowlands are rich with mussels and clams. There are many lakes and waterways inland that have a great variety of fresh water fish along with other wild birds and ducks.